The wee beasties are out and about as the sun comes up and I start to take the tent down. They are evil little vampires trying to drain me of blood which causes itching and scratching and general discomfort. I apply my head net and my bike gloves while I finish packing the tent and loading the bike. The couple from Wigan step outside their caravan and look at me curiously, they soon realise why I look like an absurd cross between a ninja warrior and a leper when they too are attacked. I hate them yet I have to admire them. I could kill a million bugs by swatting or spraying but there are a million million more where they came from, the battle cannot be won. It's the only sure fire way to not end up all itchy and scratchy. With a scratch and a shuffle relief comes with the wind of movement on two wheels. From Langholm to the motorway is a short hop and now it is time to settle into the business of moving myself and my gear the 100 miles back home. There is little to report from the motorway so my mind is allowed to wander and think. I try to envisage myself living in Ullapool. 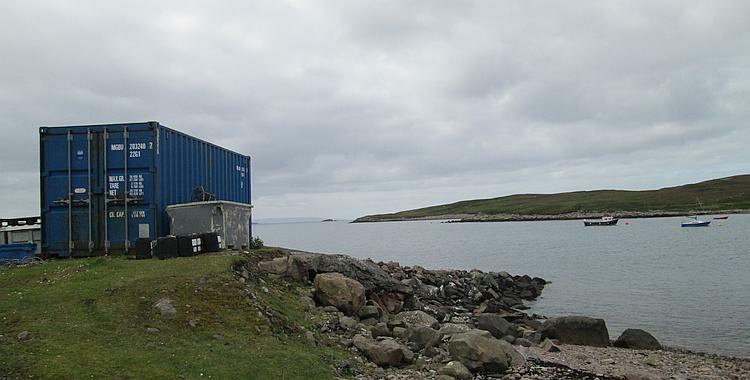 I love the peace I love the area I love the lochs and I love the sea but it is so remote. I've spent a lot of time recently reflecting on how I travel and why I travel. I am asking myself whether or not I am deluding myself. I'm not really the great traveller, wandering around the world am I. I have a few trips here and there and that's about it. I'm not sure if I'm brave enough to give up my work, my home, my everyday life and just set off into the sunset. And the same would apply to Ullapool. There's the obvious concerns over leaving my family and friends then there's little things like not being able to drop into a big local city to pick up some random bike parts or not having a large local DIY shop when I suddenly decide it might be a good idea to build a new shed. There's the roads too. While they may be some of the best roads in the country if you ride them every day then they just become the road to this place or that. The advantage of living within the urbane sprawl of Manchester, Liverpool and Preston is that escaping it is all the more appreciated. As I traverse the lanes to my mother's house for a cup of tea I guess this holiday is over. 6 nights done and dusted and back to the reality of work tomorrow. I did it though. I rode a Honda CBF 125 all the way to Ullapool and back. Well done me. And damn that bloke on the C90! Here are just a few more of the pictures I took on my journey. Cheers! Arran looked amazing as we rode north and to our first ferry. The first ferry from Mcinroy's Point to Hunter's Quay is hardly lacking in visual pleasure. Loch Fyne seems mighty fine. As seen from Inverary. Castle Stalker in the sun. The last time I was here it was dark, incredibly wet and cold in January. Glenfinnan's "Harry Potter" bridge. The rail bridge is now famous for having featured in several of the films. The Eilean Donan Castle is also famous for being used in "Highlander". There can only be one, apparently. The A890 is lonely and remote. Except for the train tracks...damn. Oh and the main road. Damn. Loch Broom as the evening grows dark. Mean, moody and majestic. Just your average views in and around the Ullapool area. 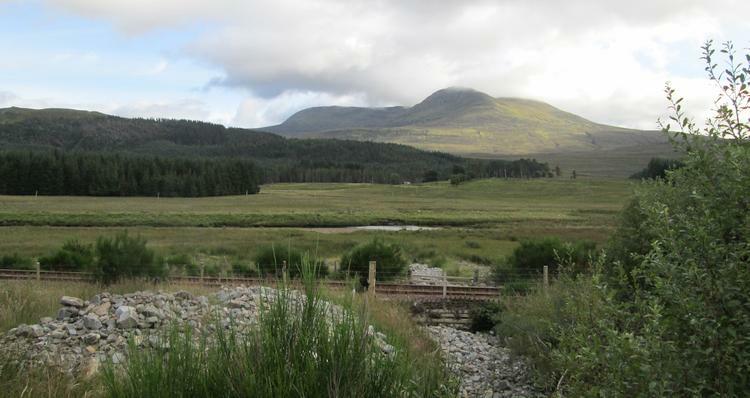 And just north of Ullapool there's more average scenery. The "Deep Freeze Mountains"
Achiltibuei keeps the mountains at a nice safe distance. I guess sunbathing on Achnahaird Beach would be a peaceful affair. Why does this container not look out of place? There are signs of life, but no people. Needs a bit of work but could this be my winter retreat? I wonder if I'll get internet access. Loch Lochy - so good they named it twice. Looking down towards Glencoe. Places like this make miles pass quickly. Art - I don't get it but the scale of these "Kelpies" catches the eye. Langholm near the border still has the Scottish feel about it. Home soon though. Superb photos. I think the north west of Scotland is one of the most beautiful places I've been. One of the most stunning roads is the B869 between Lochinver and Kylesku, following the coast through Clashnessie & Drumbeg - a little further north than you were I think. I was up there on the Commando about 20 years ago (gulp!) and just had to park the bike and sit gazing out over the sea for half an hour. Hi Ian. One day I hope to get up there and explore all those little nooks a crannies. I'd like to spend a week, maybe two, just wandering aimlessly up and down single track lanes and soaking it all in. Whereabouts in the Midlands are you? My biggest problem with France is everyone - and I mean EVERYONE - rides on the wrong side if the road. I have tried to educate them by riding on the correct side of the road but they didn't seem to appreciate my efforts. It's so bad the authorities seem to have given up as well and just painted the roads all wrong to match. The French also speak funny. Being a true Brit I also tried to educate them in how to speak proper like what I does but they were again reticent. To be honest I've found the same problem in Spain, Germany and Belgium. Thanks, I did enjoy both pic's and writing, to just quit work is obviously a trap and a fatamorgana. Unless you are consolidated with long lasting finances, and/or very low monthly expenses, it will only lead to "less adventure"
Changing this is a deep topic, but interesting, and individual,..
have dropped Scottland, and go for Norway insteadt, we would be able to get two trips to Norway for the same Money, and not having to spend half the time getting to Amsterdamm or France first. If the bike having a main brake- down in Scottland would also be a disaster, if it happens in Norway I will just go get my car in Sweden and take it home. None of the places I would go for repair in a workshop, unless it was a detail, or a broken tire,..
Maybe you could get internet in the ruin :-) we got a well working 4G solution here in the woods, we can even stream television, but wo does, guess its been 25 years without telly for my part,..
Ren, your photos and comments are very good. Scotland really is beautiful country, there seems to be fantastic views around every bend. we ( me and my brothers)where there in June, we only got as high as Applecross where we camped. yes, the west coast of Scotland is well worth a visit. it does rain and the midges come out in billions but so what. The pubs have roaring log fires to warm your hands as you sip a wee dram. Cant wait to get back! Cheers Chris Molden. Some folks seem to find the midges a minor irritation, some of us like myself suffer horribly at their minute bites. In the past it has been so bad that I've ended up looking like the Elephant Man. 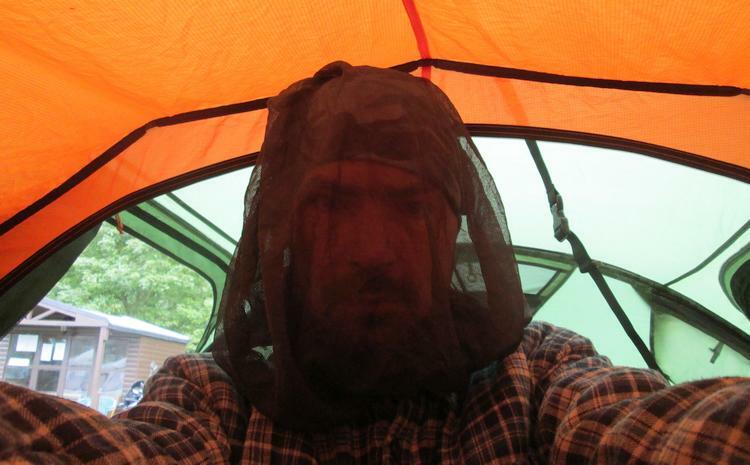 The midge net helps greatly even though I both look and feel rather silly. The Applecross road is a cracker isn't it! And it's a long way to anywhere else if the log fire isn't lit. Having travelled all around the UK I personally find The Scottish Highlands are still my favourite area. In spite of the midges. When the euro mainland is a PITA to visit, and visa-versa, the span in UK's nature is most certainly wide, even though SV-Norway is more "majestic" with points to look 1100 meters vertical down, Scotland is same kind of hills I guess, just a bit down-scaled ? There you go again Henrik - making us all jealous again. I can only guess at how Scotland compares to Norway and Sweden as I've only been to Scotland. From what I have seen on TV and the internet perhaps Scotland is a scaled down version. With winter fast approaching and the weather here in the UK has finally become wet, grey, miserable and nasty I am finding it hard to envisage myself in the Norwegian Fjords or some remote wilderness. In the interest of not going winter insane I am putting together a week in South Wales sometime in January. I have passed through South Wales once but I've yet to explore it properly and hopefully the weather won't be too harsh.